Drayson Racing took their electric race car, the B12/69 EV, which is based on a Le Mans Prototype to Elvington Airfield and set four new land speed records. British land speed record over the measured mile for cars of any propulsion driven by wheels. Lord Drayson drove the car in all runs. Not a bad result at all. Well done chaps. 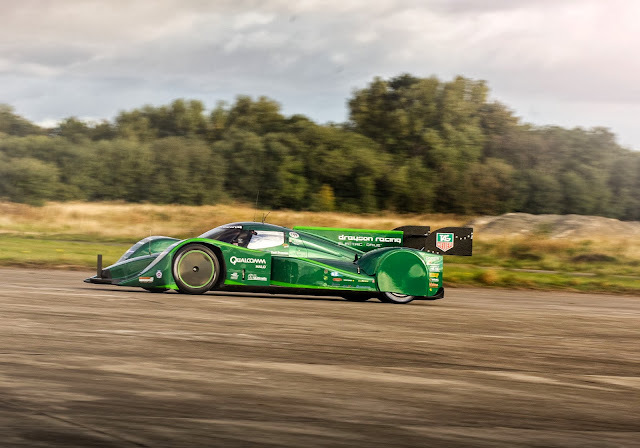 Here's the Drayson electric race car in action at Goodwood.